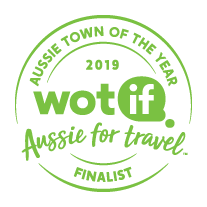 We’ve crunched the numbers, looking at pricing, demand and all-round awesomeness, and it’s official – Albany, WA, is a Finalist in Wotif’s Aussie Town of the Year Awards 2019. The Aussie Town of the Year Awards recognise top Aussie destinations that offer travellers great value for money, fantastic experiences and excellent accommodation options. With its Beaches, Whale Watching and The National ANZAC Centre, it’s obvious why Albany was a top pick for the top ten. Albany is in a stunning spot on the coastline of Western Australia. The first town in WA to be settled by Europeans, it’s a destination full of rugged national parks, quiet beaches and creative culture. You can go bush, go swimming or just relax in this wild and windy city when you book one of our Albany hotel and accommodation deals. Albany’s attractions range from natural to coastal, historical to edible. If you’re a history buff, visit Brig Amity, an exact replica of the ship that carried the first settlers to Albany. The Old Convict Gaol has fascinating day tours and eerie guided night tours of the cells where prisoners once lived. Housed in a former cottage hospital, Vancouver Arts Centre is the artsy heart of Albany and the perfect place to catch an exhibition. Maybe you’d be keen for a concert at Albany Entertainment Centre, which has comedy, music and theatre plus a restaurant. Albany is worth a visit just for its location on the W.A coast. National parks like Torndirrup National Park and West Cape Howe National Park have stunning high cliffs, sweeping ocean views, whale-watching lookouts, unique rock formations and bush tracks. On top of its Heritage Walk, Two People’s Bay Nature Reserve has Little Beach, which comes with clean white sand and bright blue waters. Another striking beach is Greens Pool, a sheltered beach with clear water and large boulders, which you’ll find about an hour away in a town called Denmark. Wander around Albany’s town centre, particularly York Street, for a spot of shopping, a slice of pizza, a cup of coffee, or a fine restaurant featuring some of those fresh Albany ingredients. Check out one of our cheap flights to Albany. If you live in Perth, Albany is a 4.5 hour drive away – a long drive, but a pretty one, past countrysides, vineyards, forests and farms. Albany has a public bus service. But for maximum freedom, book one of Wotif’s car rentals at Albany Airport. There’s a lot to fit in the itinerary, so let Wotif source the best Albany hotel deals, so you can spend more time planning what to see and do! 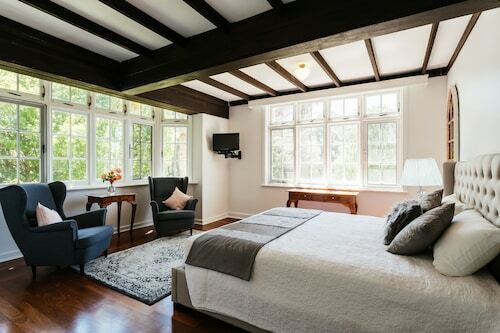 Hotels in Albany start at AU$30 per night. Prices and availability subject to change. Additional terms may apply.